Remember, "it's not how much you know, it's how fast you can find the answer." 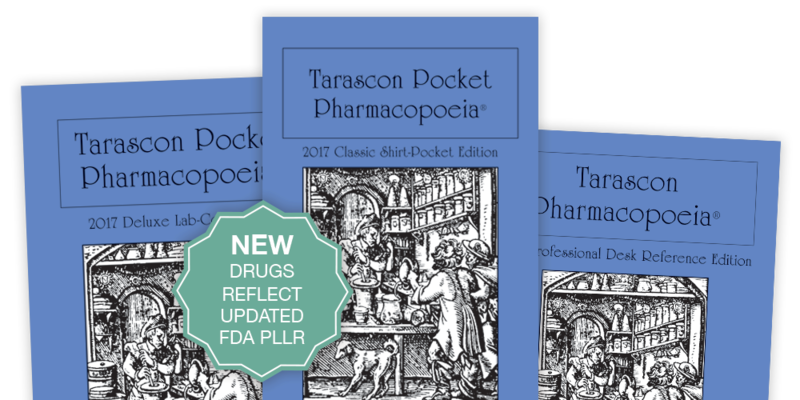 Visit www.tarascon.com to learn more about the 2017 Tarascon Pocket Pharmacopoeias and all of the invaluable, portable medical references Tarascon offers. Connect with Tarascon on Facebook for updates, special offers, and promotions.